In this episode with Leslie Waltke, we learn about rehabilitation for cancer patients, how cancer survivors have tackled triathlons with Team Phoenix and why Leslie inadvertently increased the fall risk of pedestrians while in China. For Leslie’s bio & links, click here. 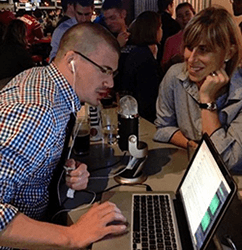 Welcoming OPTIM Fellowship to the PT Pintcast Team!